The month of March is associated with two beautiful birthstones – one of them is Bloodstone, the other is Aquamarine. We wrote about the second one two times. Bloodstone may not have the overt beauty of aquamarine, but many prize this stone for its symbolism and other properties. But the other birthstone, bloodstone is even older and also been referred to as the birthstone for month March in earlier days. This stone was treasured in ancient times, and long served as the birthstone for March. March birthstone is a unique and powerful gemstone. It is a variety of prase (dark green/greenish-blue chalcedony or Jasper), with small red blood-like spots, used as a gem also called heliotrope. This gemstone can be found in a variety of hues. The glimpses of its existence and high uses can be deduced from historical books, myths, and ancient folklore. Many other ancient cultures believed bloodstone had magical powers, with some references to its ability to heal dating back to 5000 BC. This ancient stone was used by the Babylonians to make seals and amulets and was believed to have healing powers — especially for blood disorders. Bloodstone has been used to make seals and amulets for thousands of years, dating as far back as the ancient Babylonians. 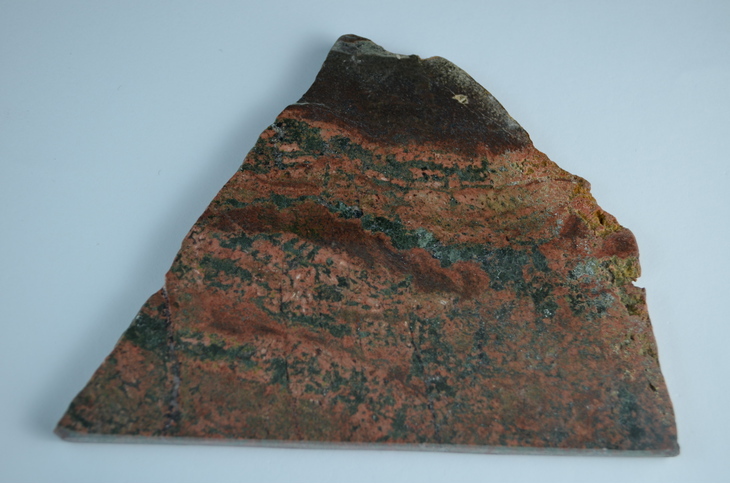 The Egyptians prized bloodstone because they believed it would help them magically defeat their enemies. They also believed it increased their strength or made them invisible. Still, others believed that bloodstone could help control or change the weather, win legal battles, or give the gift of prophecy. It was so loved for its properties; many used the stone in jewelry, signet rings, and even small cups or statues. This appealing chalcedony quartz is also known as heliotrope derived from the Greek words, ήλιος and τρέπειν, which mean ‘the turning sun’ because in ancient times polished stones were described as reflecting the sun: perhaps the appearance of the gem reminded the ancients of the red setting sun, mirrored in the ocean. Greeks and Romans wore Bloodstones during athletic games to increase their strength and endurance. 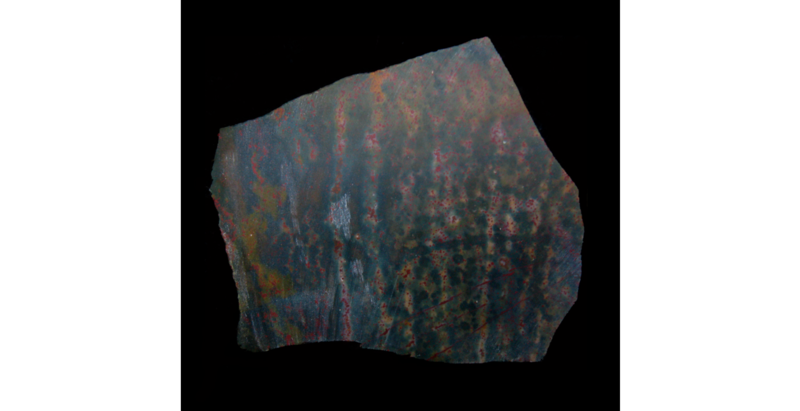 The Leyden Papyrus declared that “The world has no greater thing than bloodstone” it opens all doors for its owner, breaks down the walls of prisons and averts many disasters. It was said that in Christianity the bloodstone came into existence during the crucifixion process of Jesus. Medieval Christians often used bloodstone to carve scenes of the crucifixion and martyrs, for which reason it was also called the Martyr’s stone. According to the legend about the origin of bloodstone, it was first formed when drops of Christ’s blood fell and stained some jasper at the foot of the cross. A Roman soldier-guard thrust his spear into Christ’s side, and drops of blood fell on some pieces of dark green jasper lying at the foot of the cross, and the bloodstone was created. 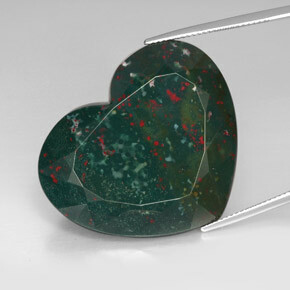 Additionally, during the Middle Ages, bloodstone was believed to possess healing powers. Bloodstones were crushed into powder and then mixed with honey and egg whites. In this form, the Bloodstone was believed to be able to cure tumors and stop bleeding. Bloodstone was also used by alchemists to cure blood poisoning as well as draw out the poison from venomous snake bites. A beautiful example of carved bloodstone with the seal of the German Emperor Rudolf II can be seen at the Louvre in Paris. Today, many still cherish bloodstone as a lucky charm or amulet. It is also prized by athletes or those who wish to increase their strength. Some believe it helps with mental clarity or increasing creativity or even boosting overall energy. Bloodstone is known for its healing and cleansing properties. It’s also associated with enhancing energy and strength. The bloodstone is tied to the root chakra, which is associated with feeling safe and grounded. March birthstone has strong healing powers primarily for blood disorders. This effective stone bestows the wearer with good health and long life. It is also a stone that can inspire and strengthen the energy of courage – be it in simple everyday actions or for a broader cause in life. The bloodstone also has grounding, as well as purifying properties. Because of its ability to ward off negative energy and purify and cleanse the energy around it, the bloodstone is considered very protective. 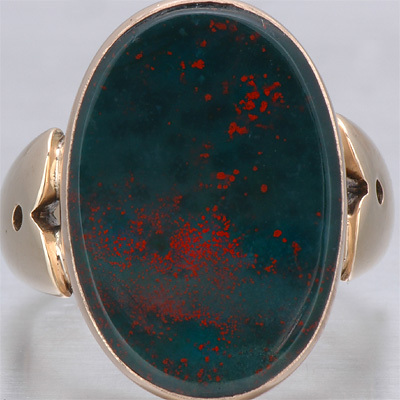 Bloodstone’s blood-like inclusions are owed to the presence of iron oxide impurities. 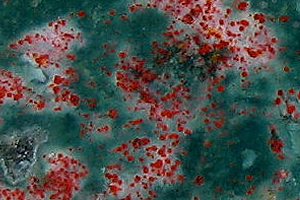 The level of ‘blood’ inclusions varies tremendously. Some may exhibit little to no spotting, while others are very densely spotted. Droplet-shaped blood spots are more desirable than streaks, and thus more valuable. It enhances decision making, induces dreams, calms anxiety, drives away negative energy, fights evil, prevents jealousy, boosts spirits, eases a broken heart, and brings good luck. It is also thought to bring about much-needed change. From Where Does Bloodstone Come? 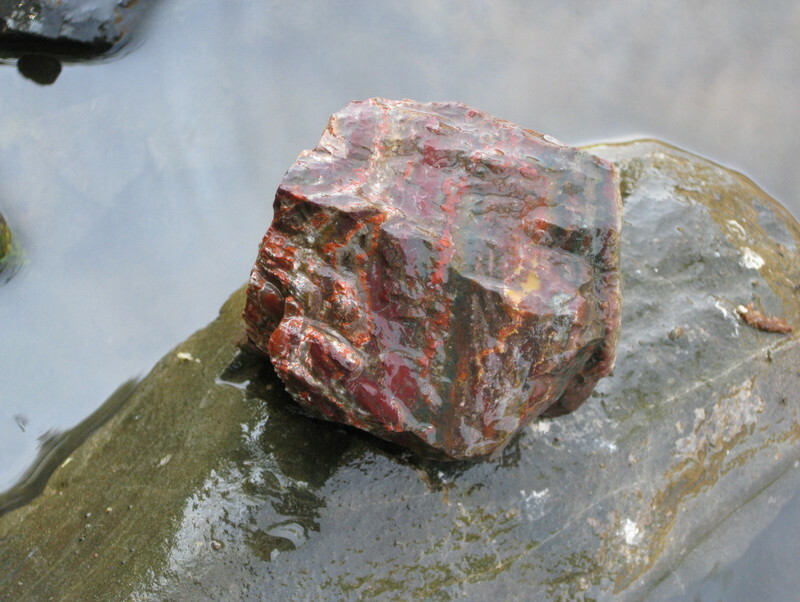 The bloodstone can be found conveniently in an embedded form in riverbeds and rocks in countries like India, Brazil, China, Australia, the United States, the Czech Republic, Germany, Russia, and Scotland. This stone is found in abundance, thus very affordable. There are many fake bloodstones on the market nowadays but there is a foolproof way to tell if the stone is real – if one rubs the stone on porcelain and blood red scars appear, it is genuine. Otherwise, it is not bloodstone, but some other gemstone. 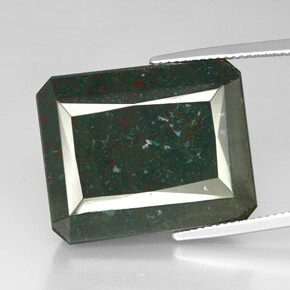 Bloodstone is found in India, Brazil, and Australia and high-quality pieces like the one shown are rare. 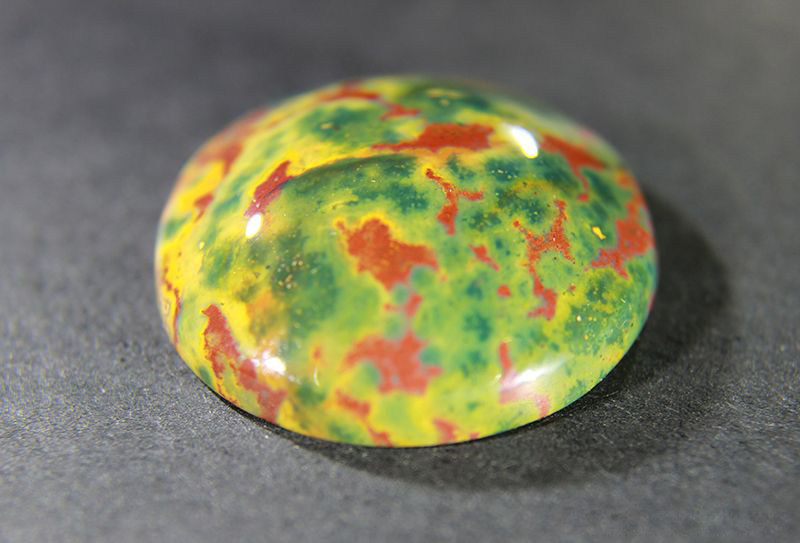 A colorful cabochon of Bloodstone, a variety of Chalcedony from India, is also known as Heliotrope. 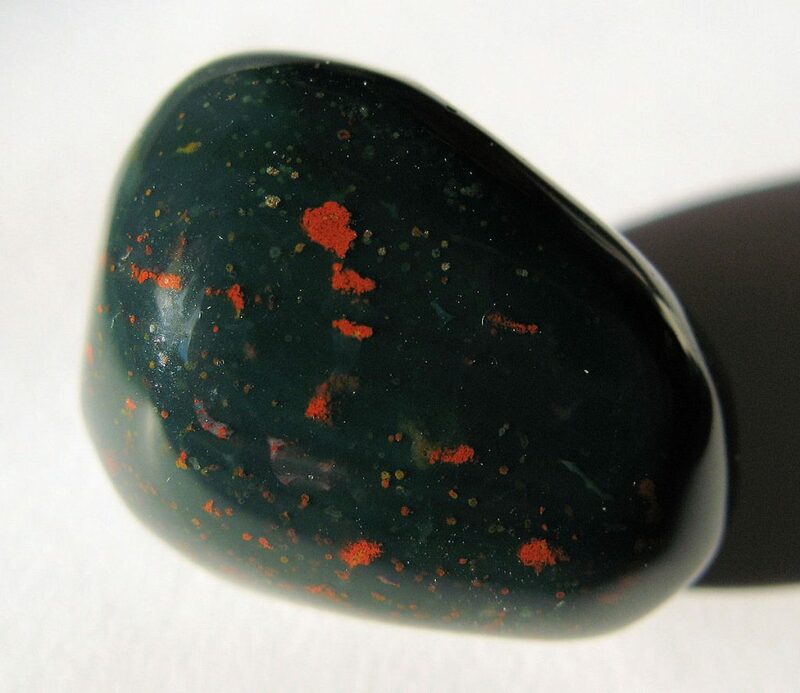 This bloodstone has olive-green, orange and brick-red highlights. 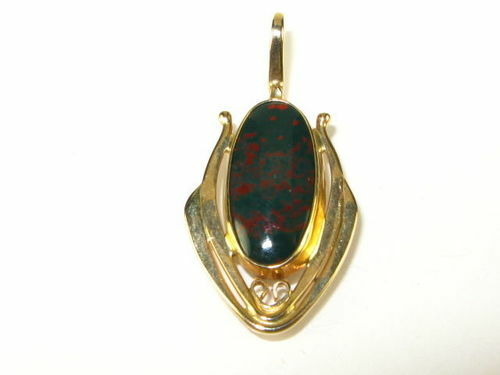 Care should always be taken when wearing or storing bloodstone. Do not use harsh chemicals or cleaners when caring for your bloodstone jewelry. It is also recommended to remove any gemstones and jewelry before engaging in vigorous physical activities (sports and exercise, performing daily household chores, washing dishes). Avoid exposure to extreme heat and temperature fluctuations. When storing your gemstones, wrap them in a soft cloth or place them inside a fabric-lined box. Always store gems separately from one another to prevent damage to your gemstone jewelry. Now that you are aware of a few of the prominent characteristics that this gemstone of March has to offer, you can see that it makes the perfect gift. Bloodstone is a perfect march gift. We hope this article has given you a bit more of a background on Bloodstone, but should you have any additional questions about this or any other jewelry related topics, you can always ask Gemme Couture.